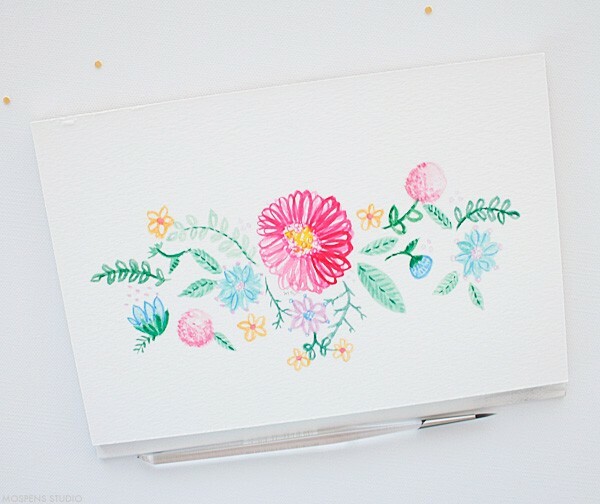 Allow me to introduce you to my latest illustration obsession! 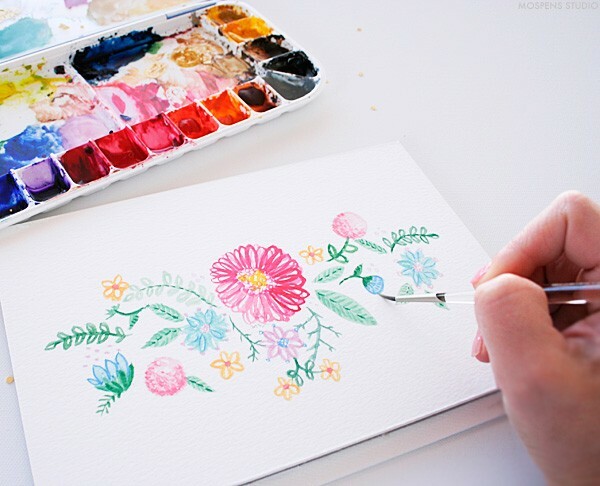 … Hand-painted vintage watercolor flowers. Inspired by embroidery, the sweet nature of this palette of flowers whisks me away to warmer nurturing moments of my childhood. The weather here in Ohio is a bit frightful. The forecast is predicting a high of -4 on Tuesday. 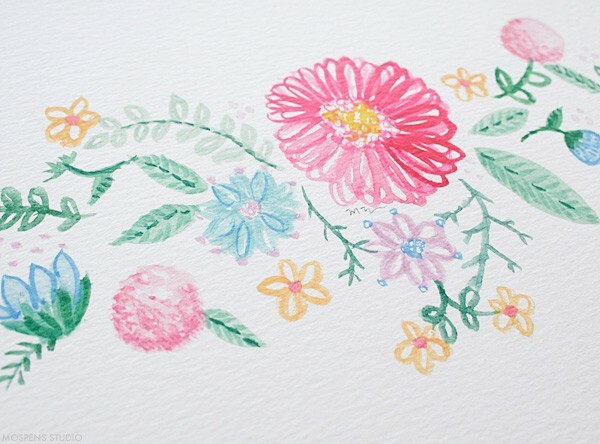 So as you can see, painted sweet illustrations of vintage flowers warm my soul like homemade soup. Yumm! Romantic, graceful, heartfelt, and nostalgic. Don’t you agree? Now visions of art prints, inspirational quotes, and stationery adorning my newest creation dance in my head.